I actually love that pillow. I have 2 Granddaughters who would like it too. I would tell them it is a magical pillow. It looks magical to me. 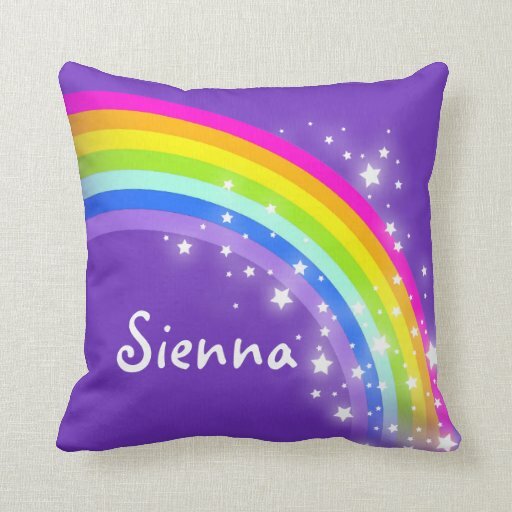 I love the rainbow on that throw pillow-especially on the purple background. I wouldn't mind having one of those for myself to put on my couch to brighten things up a bit. It actually is pretty versatile. Would look add life to a simply decorated room as well. This is so cute. My granddaughters would love this. My daughter would love this pillow for her room! Purple is such a great color for a kid's bedroom. It's vibrant and full of life.